The raw dog food diet is the subject of a great deal of debate among the veterinary community. There are proponents and opponents. Each group has certain points to make. There are risks and benefits. Opponents say that the risks outweigh the benefits. Proponents disagree. 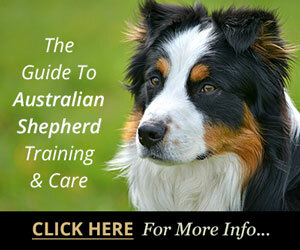 The information here should help you decide if this is the right choice for your pet. 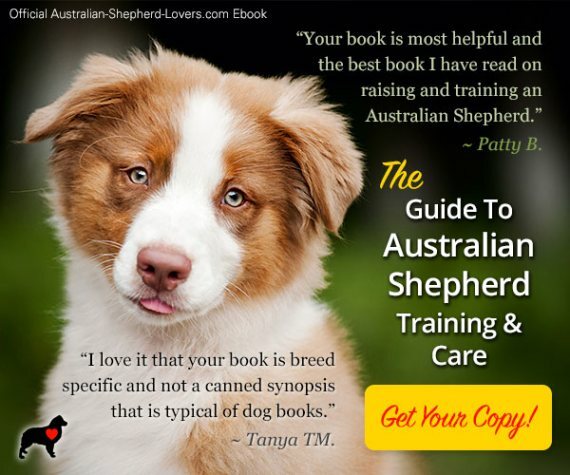 Whether you have an Australian Shepherd or a Chihuahua, you are surely aware of how important good nutrition is to your dog’s health. Below is a short list of things that are related to nutritional intake. The BARF diet (bones and raw food) was originally developed by Australian veterinary surgeon Dr. Ian Billinghurst. He is the author of the 1993 book “Give Your Dog a Bone”. He maintains that all of the things listed above can be improved by feeding a diet that more closely resembles that which an animal would consume in the wild. Many European zookeepers seem to agree. They typically feed animal carcasses to the carnivores in their care. Most North American zookeepers feed prepared food. While the meat may be served raw, it is not in the form of a carcass. 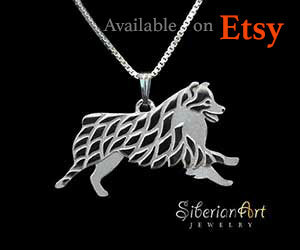 They maintain that carcass feeding leads to more aggressive behavior. Max loves the dog park where he can run as fast and far as he wants and he gets to play with all the local dogs of the city. His favorite friends are Jack Russell's as they like to be chased. Max is very energetic and has a great personality. Opponents of the raw dog food diet say the same is true of domesticated animals. They are not in favor of it for dogs or cats. Opponents include the American, British and Canadian Veterinary Medical Association. Proponents sometimes criticize the motives of the associations, because they are financially supported by commercial pet food manufacturers. Vets make additional profits by selling certain brands in their office. At the very least, there does seem to be a conflict of interest. There is little scientific evidence to support the benefits of the BARF diet. On the other hand, there is little scientific evidence to support the benefits of feeding commercial pet foods. The few comparative studies that have been conducted were inconclusive. Many of the claimed benefits of the BARF diet have to do with oral health. Chewing on bones and fibrous meats can help to keep the teeth clean, prevent gum disease and tooth decay. This does not replace the need for regular brushing and cleaning according to vets on both sides of the debate. There are also risks associated with cracking bones including dental impactions and fractures. 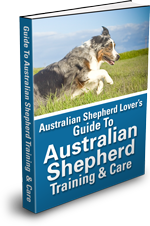 The risk is likely greater for small breeds than it is for Australian Shepherds. 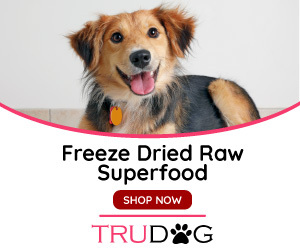 The risks of the raw dog food diet include airway obstruction, choking, inflammation of the gastrointestinal tract, severe diarrhea, bowel obstruction and intestinal perforations. Those same risks are associated with rawhide dog chews, commercial treats and doggie toys. Proponents admit that when dogs are switched from commercial foods to the BARF diet, they typically experience diarrhea. They say this is part of the "detoxification process." Detoxification is supported by alternative healthcare practitioners of all kinds, but is not supported by scientific evidence at this time. There is no doubt that commercially prepared dog food can be boring. Dogs would likely enjoy the variety. Chewing on bones is good for their teeth, jaws and neck muscles. 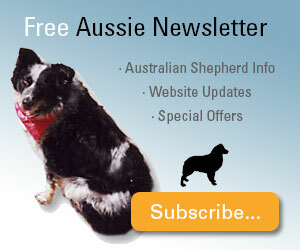 The president of the RSPCA in Australia, Dr Hugh Wirth, made something of a compromise recommendation in 2007. He said that raw meaty bones should be fed to pets a minimum of three times a week for dental health. If you do decide to feed the bones and raw food diet, follow proper care and handling recommendations, just as you would when preparing your own food. Watch your dogs carefully for any negative reactions. Take bones away when they become small enough to swallow whole. 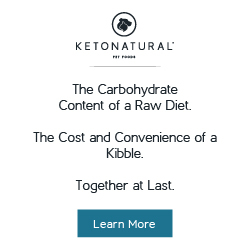 All vets might not agree that a raw dog food diet is the best choice, but most would agree that feeding high carbohydrate, low protein grain-based food increases the risk of obesity and type II diabetes in dogs.